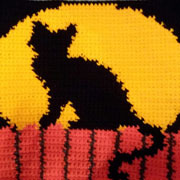 Although Halloween has come and gone, I’d love to show off these awesome crochet projects that readers sent in. 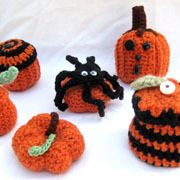 Perhaps these fun Halloween themed crochet projects can give you inspiration for next year or for your fall and Thanksgiving decor. 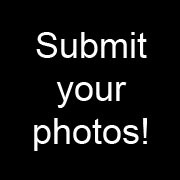 If you have photos that you would like to show off too, feel free to email them to me at [email protected] and I’ll be sure to add them to this roundup. Be sure you indicate that I have your permission to publish them. 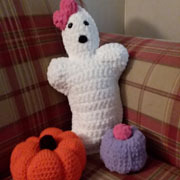 Check out these cute pumpkins Cathy made. 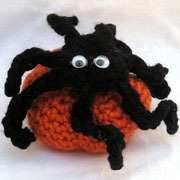 I love Cathy’s spider on top of the pumpkin. 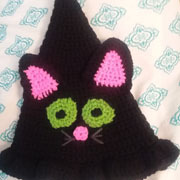 Angela’s pointed cat hat is so adorable. Angela did amazing work with this cat picture. 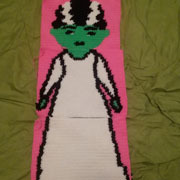 Check out this cute ghost Angela made. 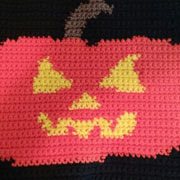 This awesome pumpkin is crocheted by Angela. 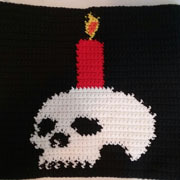 This skull that Angela made is simply amazing. Angela’s 3 squares when put together look great. 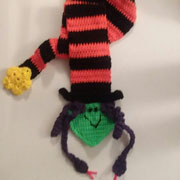 Loving this creative, striped scarf by Angela. 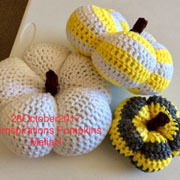 Loving the non-traditional colors Mary chose for these pumpkins. 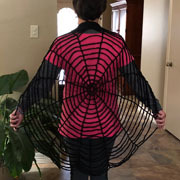 Maret Raquel crocheted a spider web shawl. This entry was posted on Saturday, November 4th, 2017 at 12:00 AM by Rachel Choi	and is filed under Fun Ramblings. You can follow any responses to this entry through the RSS 2.0 feed. You can skip to the end and leave a response. Pinging is currently not allowed. I love all these clever projects…thanks for sharing, everyone! They are all so good! It is fun to see what everyone makes.